Linux is many things but being the most user-friendly operating system is not one of them. I’ve often called out Windows for behaving like an OS from the 90s what with the way apps are installed or uninstalled the registry mess and other things. While Linux generally handles that well, it has room to improve as well. For instance, both macOS and Windows will automatically switch to an HDMI output when it is made available but Linux, on the other hand, does not. If you’ve tried to connect any HDMI audio devices to your Linux system you’d know, HDMI audio management can get a little tricky at times. This is true even on Ubuntu, which is widely pushed forward as the Linux distro for beginners. 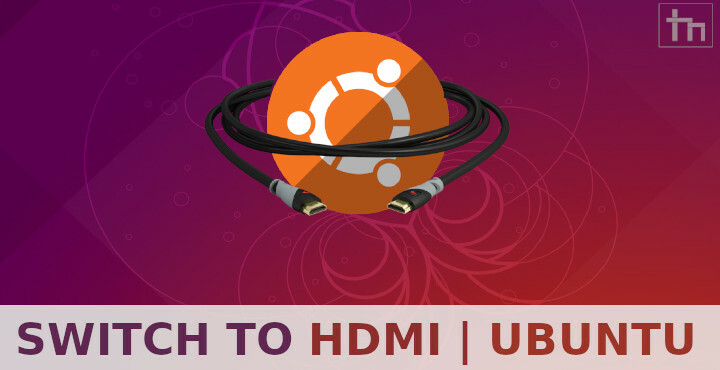 On Linux, and thus Ubuntu, users have to manually switch the audio output to an HDMI device. Until then the audio just keeps playing from the same device. This even happens when you’ve connected your Linux system to another display such as your TV and the video feed does get displayed automatically. For newcomers who have never had to manually do this on their earlier OS, this can really create confusion. Even for experienced users, going to the Settings to switch to another audio device is not exactly convenient. Ubuntu ships with the GNOME desktop. GNOME does not provide an option to quickly switch between different audio devices from the desktop. Luckily, we do have GNOME extensions which help extend the desktop’s functionality. The first thing you’ll need to do is enable GNOME extensions on your system if you haven’t already. For this, the gnome-shell-extensions package needs to be installed. To install it, launch a Terminal window and enter the following command. Enter your password when asked to proceed with the installation. After this, you will have to install the GNOME shell extension for your browser. For this, go to the extensions.gnome.org and click on the link that says “Click here to install browser extension”. We’ve linked the extensions for Chrome, Firefox and Opera below for your convenience. You can learn more about what GNOME shell extensions are and how to use them at the link below. 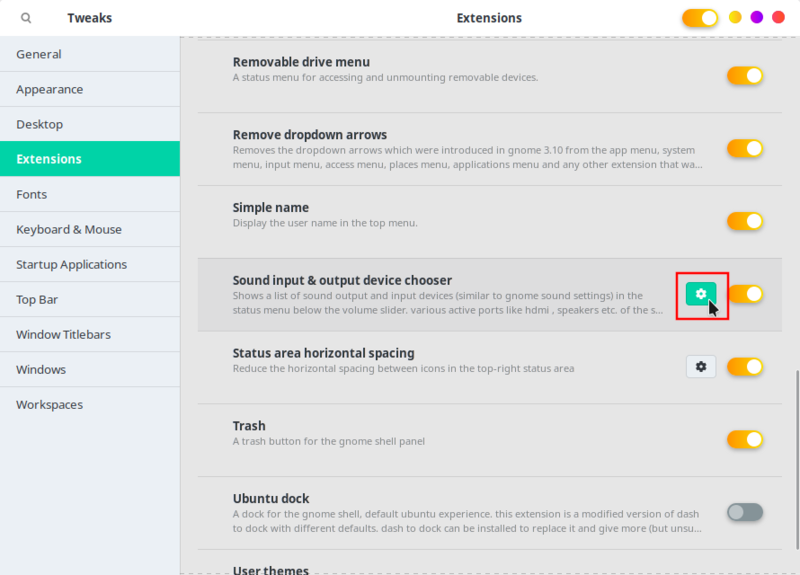 Now that GNOME shell extension is enabled, install the Sound Input & Output Device Chooser extension by kgshank from the GNOME shell extensions website. You can use the link provided below. When you connect an HDMI audio device to your PC now you should be able to select it directly from the GNOME system menu. By default, the Sound Input & Output Device Chooser extension displays both output and input devices. You can change this in the configuration as well as a few other things such as the icon. 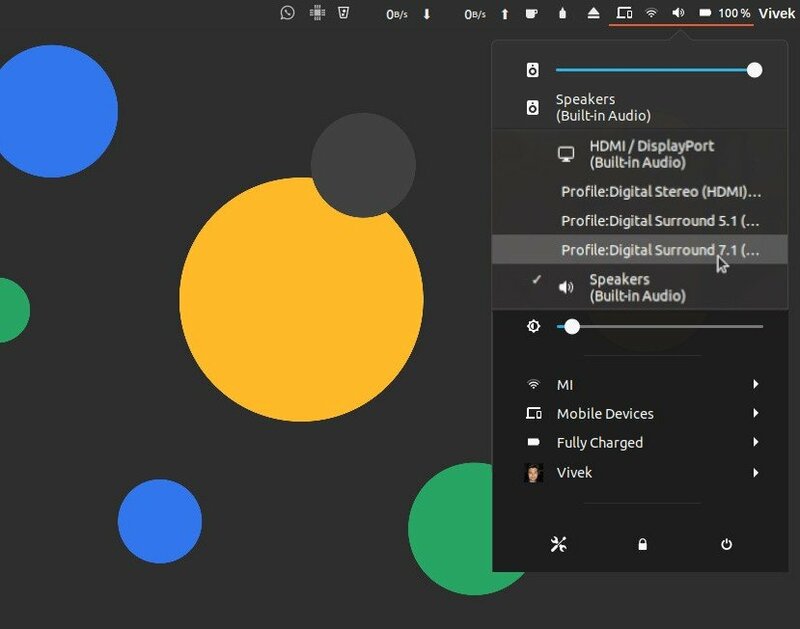 If you have the GNOME Tweak Tool installed, you can access the configuration settings for the Sound Input & Output Device Chooser extension from the Extensions section. If you don’t have the Tweak Tool, first of all, you should, and second, you can click on the settings icon on the Sound Input & Output Device Chooser extension web page to access them.